Family operated, featuring great authentic Tex -Mex and a Port Isabel treasure. Simplicity of a diner, warmth of a coffeehouse. 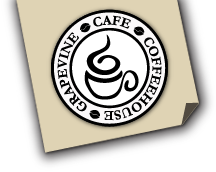 Outstanding breakfast and lunch, daily specials. 5001 Padre Boulevard , South Padre Island, TX. Daddy’s Seafood & Cajun (956) 761-1975 3409 Padre Blvd, South Padre Island, TX. Our cajun inspired menu highlights the freshest local seafood and ingredients .. truly a great dining destination! Liam’s Steakhouse 956-772-4700 3409 Padre Blvd, South Padre Island, TX. The perfect place for an anniversary dinner or any kind of celebration. Reservations recommended. Marcello’s Italian Restaurant & Lighthouse Pub (956) 956-943-7611 110 N. Tarnava St., Port Isabel, TX. Enjoy delicious hand made Italian dishes, lunch or dinner. Family owned with casual elegance. Classic Italian or experience fresh gulf shrimp and steaks! Pirate’s Landing (956) 943-3663 110 N. Garcia St. , Port Isabel, TX. Great views of South Padre Island, the causeway and our beautiful Laguna Madre. 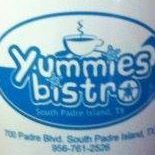 Located on the bay in Port Isabel! A ” must do ” destination. A fun, pirate themed restaurant specializing in seafood with a complete menu. 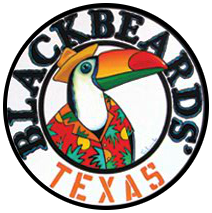 Our pirate themed grounds include Texas’ longest pier, the black dragon pirate ship, thriller speed boat and Black Jack’s Galley. Also enjoy all our historic location has to offer – lighthouse square is a popular destination for its walkable shopping, museums, sea life center and of course the historic lighthouse . Sea Ranch Restaurant (956) 761-1314 1 Padre Blvd.South Padre Island, TX. Sea Ranch Restaurant is a traditional top-rated seafood dinner SPI destination. Don`t miss this fine dining experience! Senor Donkey 956-761-4843 4215 Padre Boulevard, South Padre Island, TX. Our varied offerings include: World’s Best Shrimp Enchiladas, Sizzling Fajitas, Handmade Flautas, Taquitos al Pastor, Delicious Seafood Baskets and so much more.